This Droideka leg was constructed at ILM for 3D scanning and reference for the computer generated destroyer droids in Revenge of the Sith. 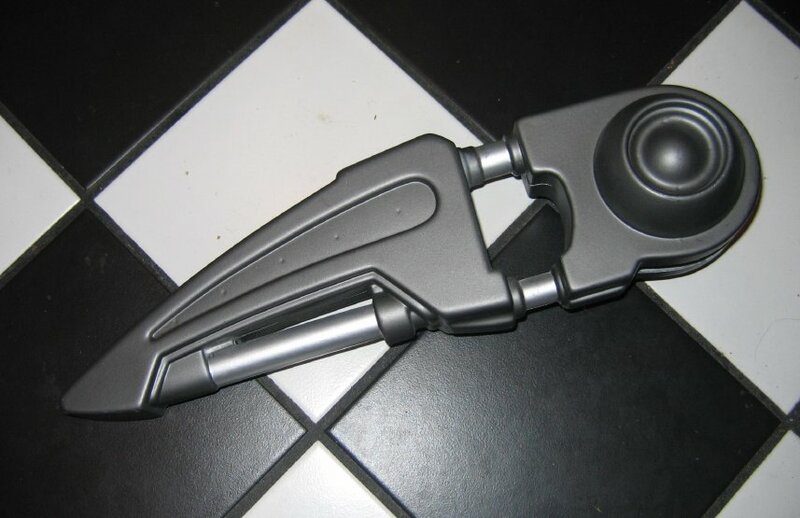 It is made of a thin vacuform plastic and features all the details on the on-screen droid legs. The piece is made in 1:1 actual scale. The second image shows one of the CGI droidekas from Revenge of the Sith with the leg piece circled. This item surfaced from cleanup and disposal of old items when ILM moved in 2005.